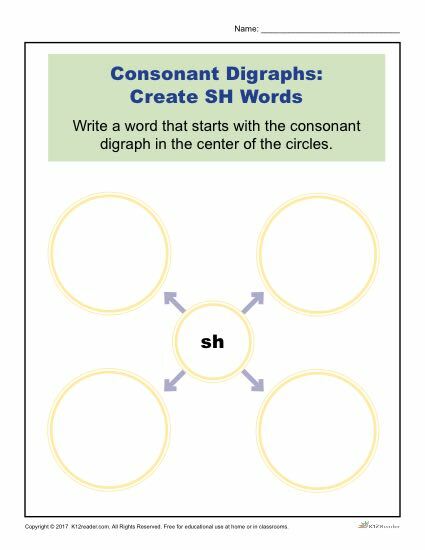 Looking for a helpful Consonant Digraph Activity? Here at K12Reader, we work to provide resources that encourage your students to learn and make teaching a little easier on those involved. This printable worksheet asks students to create four words that begin with the consonants SH. Here are some examples: shine, shear, sheep, and shutter. Your students will enjoy getting creative as they come up with four unique words! This resource has been made easy to print, making it great for use both at home and in the classroom.